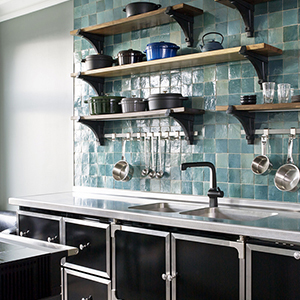 La Cornue is a French company that has been manufacturing kitchen appliances since 1908. La Cornue appliances focus on craftsmanship to provide you with the best quality appliances that will last you a lifetime of cooking. 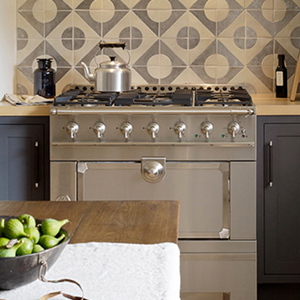 With timeless design and functional features, La Cornue ranges and ovens are charming appliances that will make your kitchen a joy to cook in. 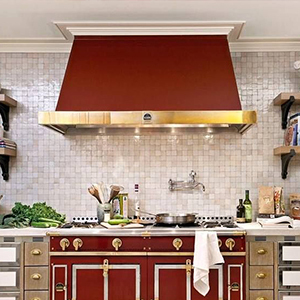 La Cornue appliances are a wonder to have in your kitchen, since they are full of features that let you make delicious dishes while having a stunning design that will truly set your kitchen apart from the rest. CornuFé model ranges posses two electric ovens: one multifunction oven and one convection oven, both of which are convectional, so you can get more done at once. The Albertine model is a 110-litre capacity range that allows you to cook large roasts or turkeys with ease, or even just cook several dishes side by side. Both the CornuFé and Albertine models are available in an array of colors with 3 different finishes available, plus there is a full stainless steel option as well.